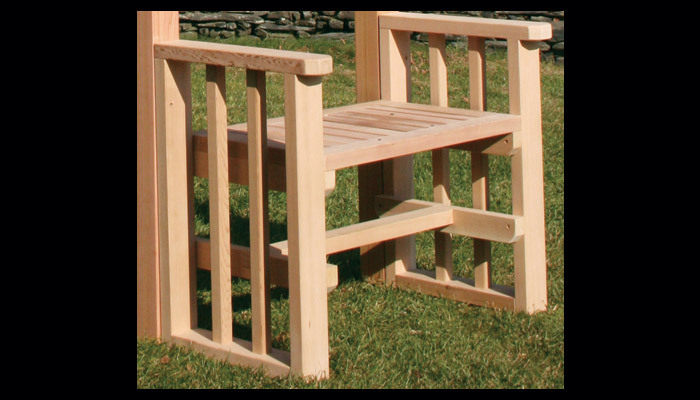 Since 1988, The Nantucket Post Cap Company has been creating fine post caps, finials, arbors, gates, benches, tables, and pergolas made out of the highest grade of redwood and cedar. 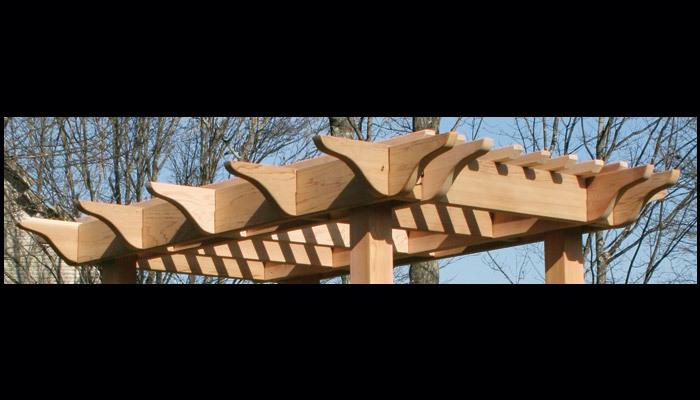 All their high quality Pergolas are made from the best grade of clear Western Red Cedar, so your fencing, deck, or other landscaping project is done right the first time. Western Red Cedar has great resistance to moisture, decay and insect damage. This wood type also has exceptional dimensional stability. Your Pergola will stay straight, retain fasteners, and provide a firm base for many types of stains and paints, giving you a wooden pergola that will hold up to the elements for years to come. The beautifully crafted Stratton Pergola is perfect in it's architectural simplicity and detailing. This outdoor garden pergola is hand-made and looks great as a stand-alone focal point. Or you may use it to create a relaxing outdoor sitting area. 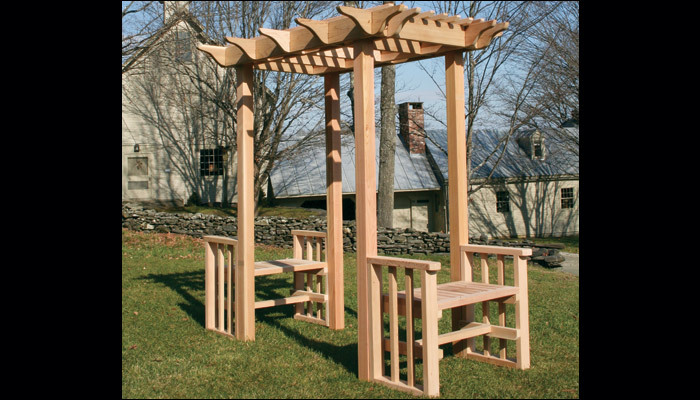 The four included red cedar posts provide a perfect place for your flowers or vines to climb, making this pergola one with your garden. This Pergola is available only in a 4' opening. Add in some Low Voltage Lighting for a night time look that truly appleals to the senses. 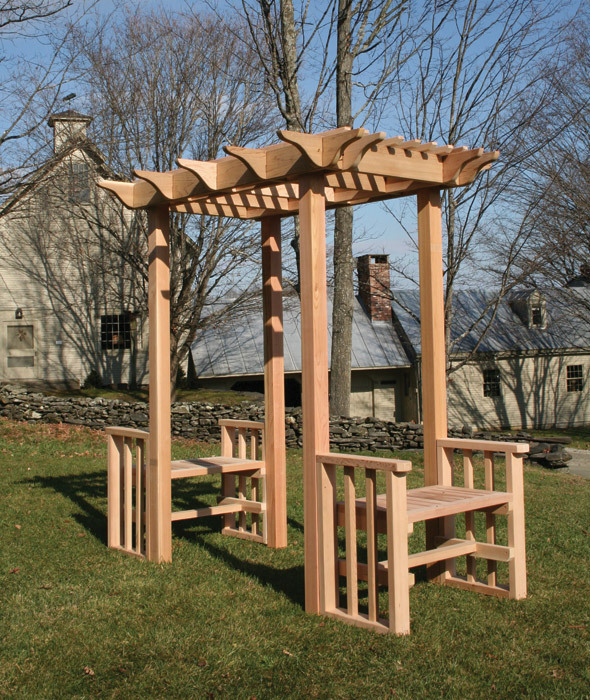 Stratton Pergolas are hand made in Vermont out of the highest quality, knot free Western Red Cedar with furniture grade joinery. They are shipped well sanded and unfinished and can be painted, stained, or allowed to weather naturally. Stainless steel fasteners are used throughout the construction where needed. Optional benches shown are 36" x 18" x 28" and attach easily. Stratton Pergolas are measured from inside of post to inside of post. For example, this 4' pergola has a true inside measurement of 48". Keep in mind that posts will also take up space so if you have a tight fitting area, you will need to account for this. Stratton Pergola is a standard 4 x 4 pergola - actual post dimension is 3-1/2" x 3-1/2". Pergola top is 84" x 58". Pergolas require some assembly, but include complete directions. All pergolas come with hardware necessary for installation.